Great Raft Brewing has created a black lager in their Reasonably Corrupt that is able to provide further variety than what is typically expected from the style. The beer pours with a mahogany / dark red coloration and possesses a malty nose with slight bits of wheat. The initial sip that one will take of Reasonably Corrupt interlaces a small hop bite with grass and malt flavors, before ending with a barely discernible sweetness. This balance makes it extremely to continue drinking the beer, but this effort’s strength comes in the flavors that begin to become prevalent as Reasonably Corrupt continues to reach room temperature. The bitter side reaches a crescendo with hints of citrus working with chocolate and toffee flavors. 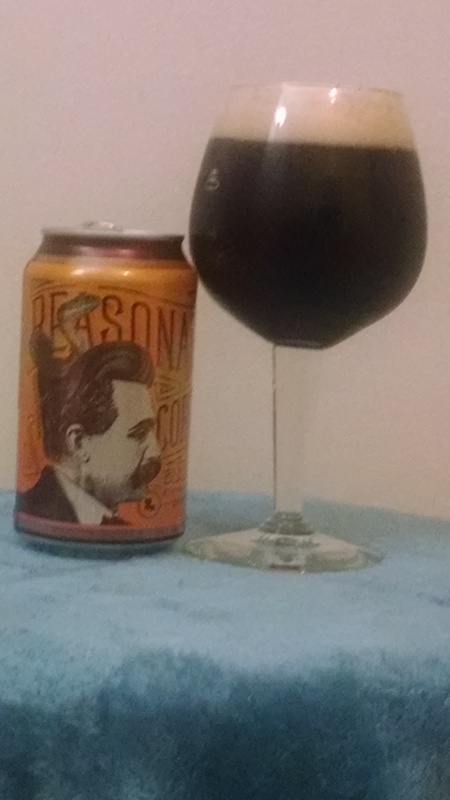 This schwarzbier has a slightly thicker mouthfeel than a golden lager, but the persistent flavors here do much to keep individuals refreshed and reinvigorated for subsequent cans. Reasonably Corrupt is the perfect middle ground for those that are either familiar with lagers and want to move to denser, darker efforts (porters or stouts) or those that want to move back from the sludgy, tarry style of beers during the dog days of summer. There is something for all fans of beer to appreciate here; Great Raft has made something that stands out from other efforts currently on store shelves and provides some much-needed illumination on a neglected (and tasty) beer style. The Great Raft Brewing website has tremendous information about the year-round and seasonal offerings by this Shreveport, Louisiana brewery. If you find yourself within driving distance of Great Raft, their tasting room is open from 4-9 PM on Mondays-Thursdays and 12-9 PM on Saturdays. For a limited time, check out their Grace and Grit Double IPA.